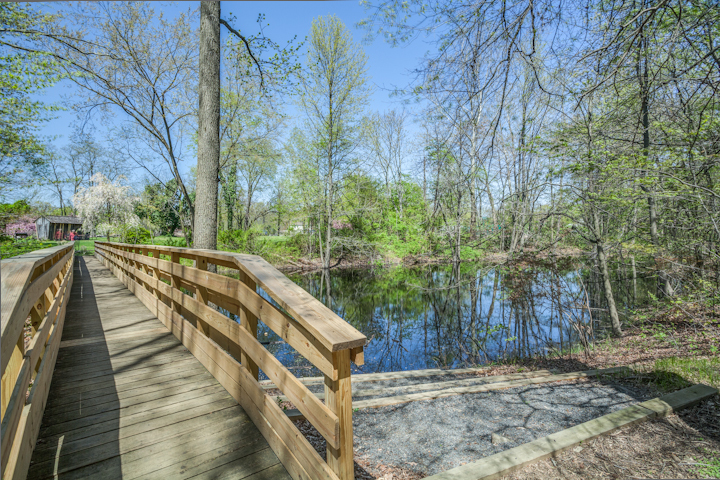 In 1826, Joseph W. Cooper, a sixth-generation descendant of the founder of Camden and the owner of Camden's Cooper Ferry, acquired the 168-acre property in Cherry Hill as a retreat to escape the city's hot summer days. Eventually, "Chestnut Grove Farm," as it came to be known, was passed along to Joseph Cooper's great-granddaughter, Helen Champion Barclay, who sold more than 100 acres of the property to developer Bob Scarborough in the 1950s, resulting in the Barclay Farm development. Helen Barclay sold the remaining 32 acres of the Farmstead property to the Township of Cherry Hill in 1974, where it has since been maintained as a park and history museum. The Scarborough development story began in the early 1950's, when Bob started Scarborough Corporation. 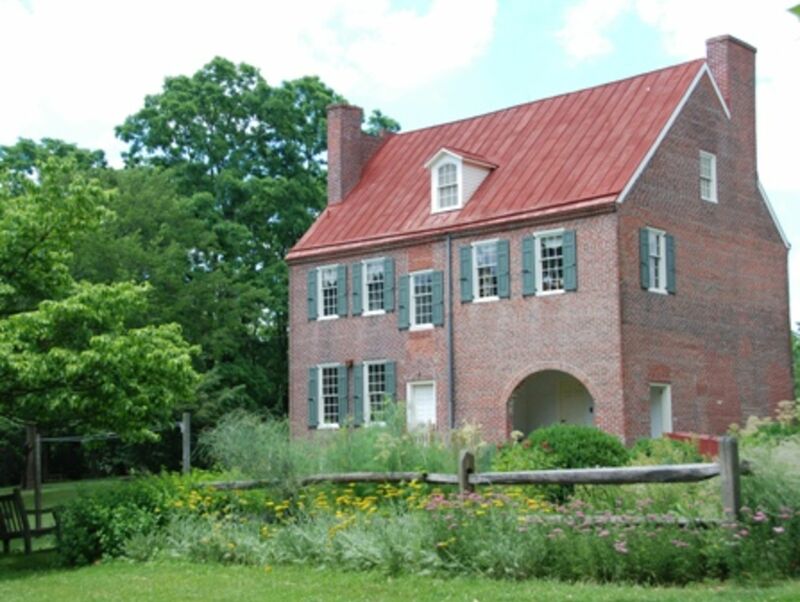 Barclay Farm was developed which offered a blend of colonial charm and modern conveniences. There were 6 basic models to choose from back then, the Salem, Buckstone, Northfield, Winthrop, Nantucket & the Eastwick. Now Barclay is home to 29 different models of homes and approximately 2000 enthusiastic families who have made Barclay Farm their home! The Scarborough Bridge was designed by famous architect, Malcolm Well, and open to traffic on Valentines Day 1959. 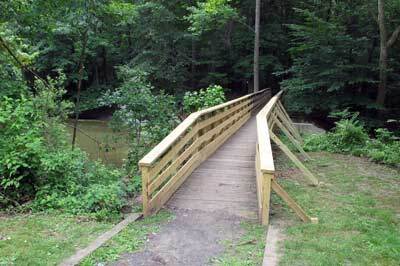 The bridge was named after the neighborhoods developer - Bob Scarborough, and crosses over a North Branch of the Cooper River. 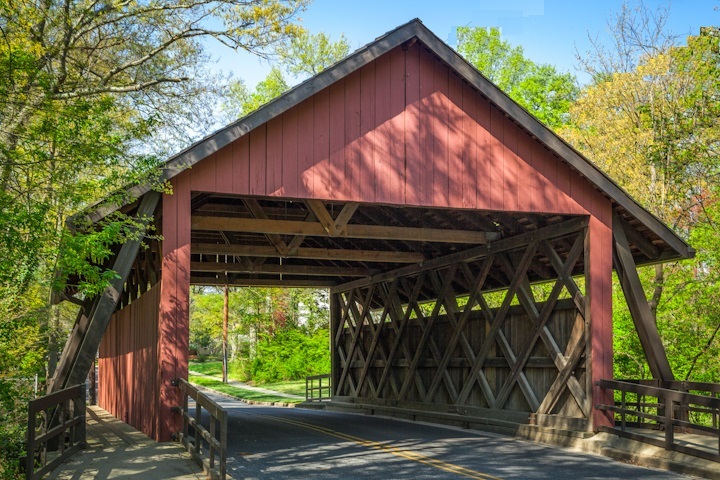 This bridge is considered a historical landmark for the entire Barclay Farm neighborhood. Trails at the Barclay Farmstead are comprised of 3 interlocking trails, totaling over three-quarters of a mile and includes wetlands, riparian, a mature forest and small rippling North Branch of the Cooper River. The New Jersey Audubon selected this area as one of the stops on their state-wide Birding & Wildlife Viewing Trails.